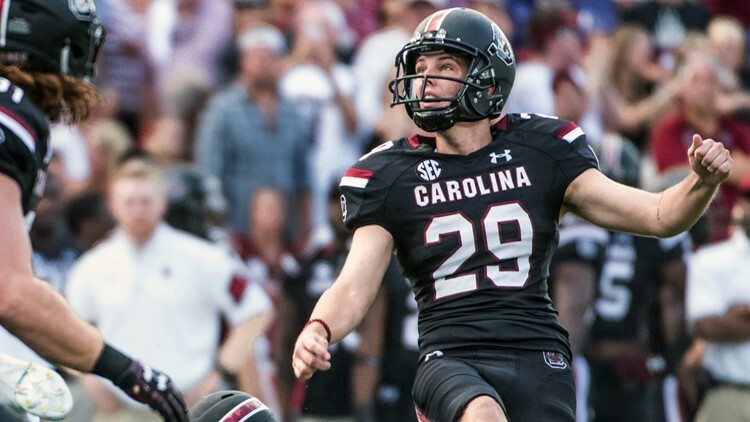 Former Gamecock kicker Elliott Fry has signed with the Chicago Bears. LAKE FOREST, Ill. (AP) - The Chicago Bears have signed Elliott Fry, adding another kicker to the mix to replace Cody Parkey. The move announced Friday makes Fry the third kicker signed by Chicago this offseason along with Redford Jones and Chris Blewitt. Neither has kicked in an NFL game. Fry was a member of the Orlando Apollos from the Alliance of American Football which recently suspended operations eight games into its inaugural season.